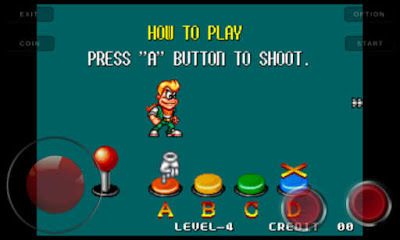 Spin Master Miracle Adventure is a Neo Geo Rom Game which is playable to Android and PC too with an emulator for free and I am giving you an active download link with instruction. 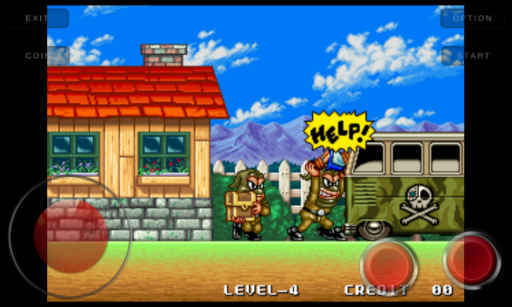 Another Neo Geo game with download link is available for Android and Computer with easy instruction included. It is one of my best games ever I played on my Android. You can also play this game by following the guide. This is an adventure game like Nightmare In The Dark emulator games. You have to attack the enemy and kill them with your weapon. And at the end of the stage, there will be a boss whom you have to defeat. You can play this game with your friend with GamePad ( Max 2 players ). It is a friendly game where you have to fight against the enemy, not your opponent. The main weapon is Yo-Yo also called in some country Spin, so what this game is named Spin Master Miracle Adventure. But you will get Ice weapon, Fire Weapon, Bomb Weapon etc on the stage. The main task is - you have to collect Maps of the treasure and save your girlfriend with your brother. There are total 5 bosses in this game in 5 Stages. And as you go to the next level the boss will be harder to defeat. You can choose the difficulty level at startup. There are 4 levels in this game and they are - easy, medium, hard and MVS. MVS is the Toughest level in where you will not able to defeat the enemy easily. Then Setup Control as your comfortable mode. After setting up the control, click on import and find the game by name. Now click on the game and click Launch to enjoy Spin Master: Miracle Adventure in your Computer. 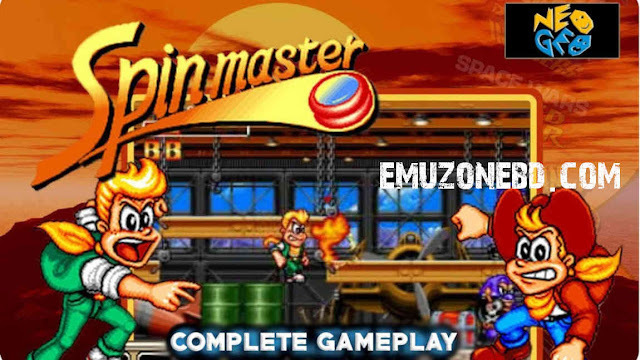 Then download Spin Master: Miracle Adventure ROM file spinmast.zip 4MB. Note: This is the same file I shared for Computer, If you have downloaded you don't need to download it again. Then open Mame4all and select Spin Master: Miracle Adventure, That's all. Then free download the ROM of Spin Master: Miracle Adventure game spinmast.zip 4MB. Note: This is the same file I shared for instruction 1. 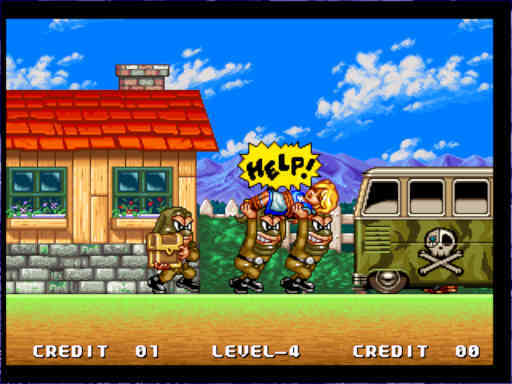 Also, download the bios file of this game neogeo.zip 132KB. Note: This is not the same file I shared in instruction 1. 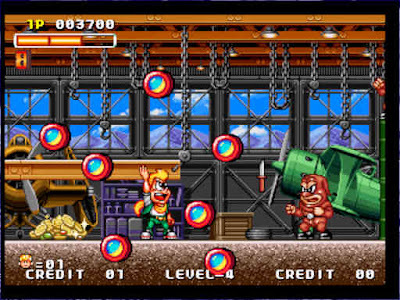 In Spin Master : Miracle Adventure games you are able to use chat, To enter the cheat menu you have to press Select and Start at the same time, If you are unable to enter the cheat menu the continually press Select and Start with your finger, If you have to Enter the cheat menu you will see four option. You can use the B button to reset the cheat, After selecting the cheat Press C for Exit the cheat Database, Now Enjoy Spin Master: Miracle Adventure in your Android with the cheat. Note: The cheat is only for instruction 2 only. And sorry to say that there is no apk file for this game.